Two Awesome Looking New Books From The Legacy Press. Tim Barrett’s European Papermaking and Pablo Alvarez’s Translation of Paredes’ Printing Manual. Cathy Baker, owner of The Legacy Press, will drop two new books very soon, Tim Barrett’s European Papermaking, and Pablo Alvarez’s translation of Paredes’ Printing Manual, which is the earliest European printing manual. I can’t wait to get both of them! Pre-order here. Cover of Tim Barrett’s new book. In the background, at the top, are marbles trapped in a wood groove. 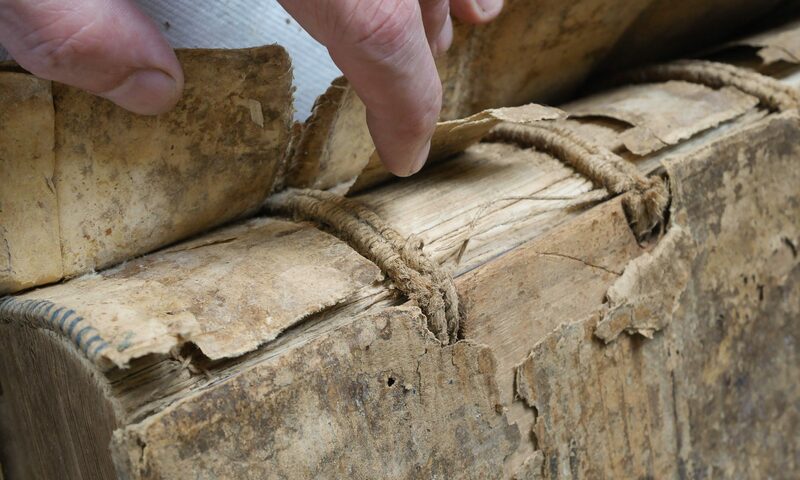 It lets the papermakers quickly hang and remove a sheet when it is drying. Clever! This book, which includes an appendix on mould and deckle construction by Timothy Moore, is aimed at a variety of audiences: artisans and craftspeople wishing to make paper or to manufacture papermaking tools and equipment, paper and book conservators seeking detailed information about paper-production techniques, and other readers with a desire to understand the intricacies of the craft. 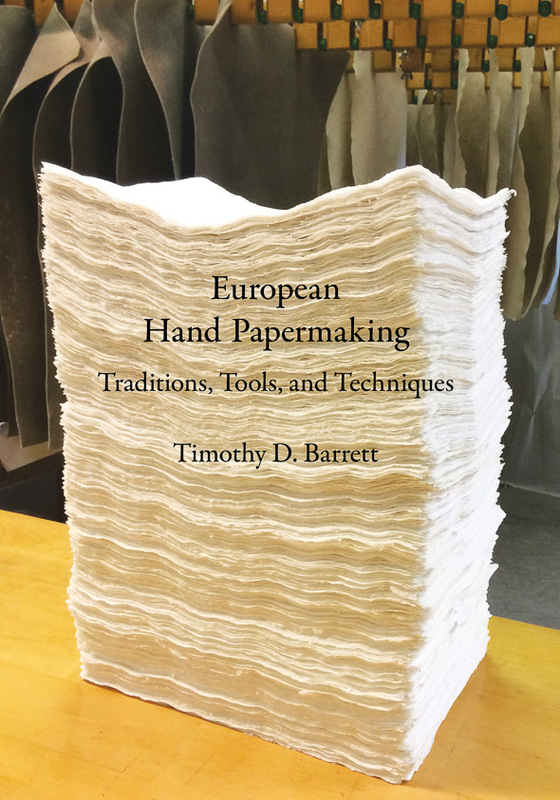 European Hand Papermakingis the companion volume to Barrett’s Japanese Papermaking – Traditions, Tools and Techniques. The first 500 hardcover copies include paper specimens. 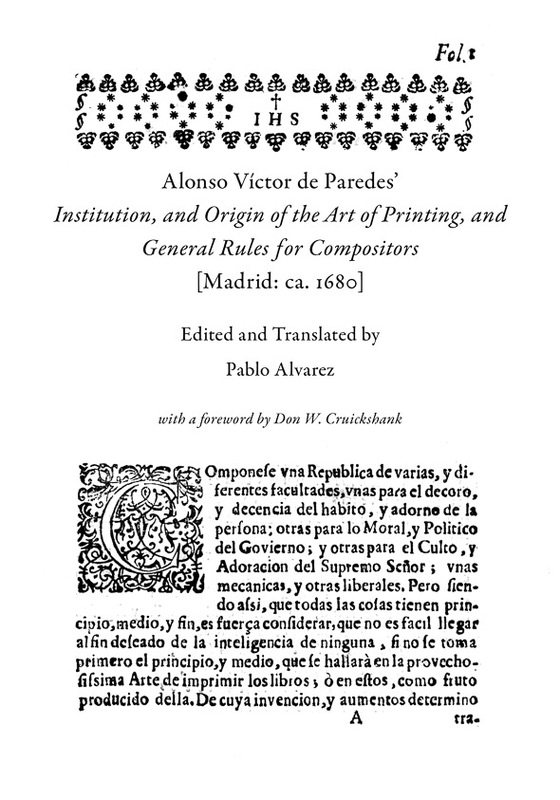 Pablo Alvarez offers the first complete English translation of Alonso Víctor de Paredes’ Institucion, y origen del arte de la imprenta, y reglas generales para los componedores [Institution, and Origin of the Art of Printing, and General Rules for Compositors]. This 96-page printing manual – set and printed by Paredes himself – was issued in Madrid around 1680. It opens with an introductory digression on the origin of writing and printing, followed by ten technical chapters on each of the tasks that are necessary to print a book, including a detailed description of the different kinds of type sizes and their use, the rules of orthography and punctuation, the setting of numeric systems, imposition, casting off, the printing of university dissertations, and the correction of proofs. Some of the chapters are of unique relevance for the understanding of early printing in Europe. Chapter 8, for example, is the first recorded, comprehensive account of the practice of printing by forms/formes. Dr. Alvarez is Curator at the Special Collections Research Center, University of Michigan Library. 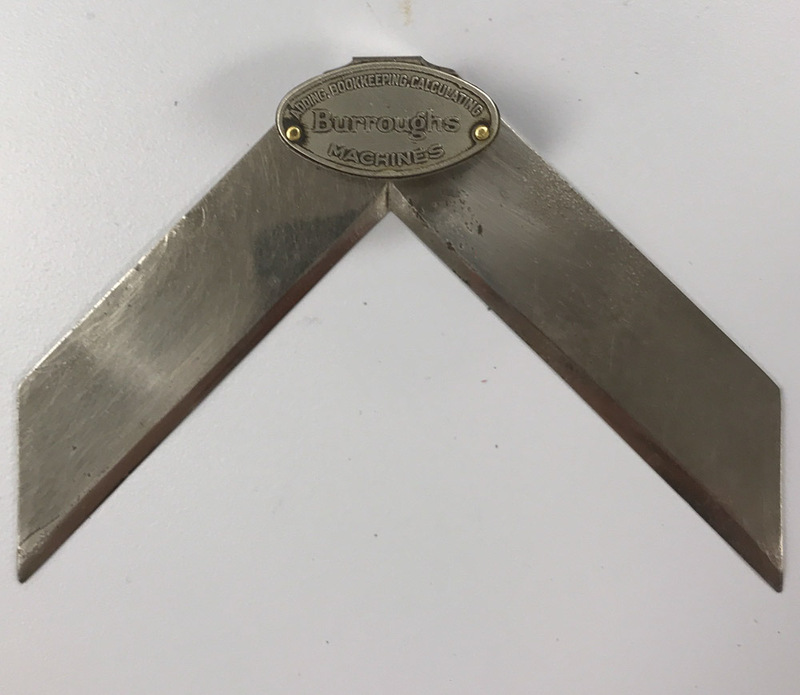 I’m hoping a reader can identify this unusual tool or jig. The legs are about 3 inches long and 1 inch wide. The inner edge has a 45 degree bevel. The medallion has a large “Burroughs” in the center, “Adding, Bookkeeping, Calculating” on the top, and “Machines” on the bottom. The entire medallion is suspended on a bent piece of steel about .75 of an inch above the legs. 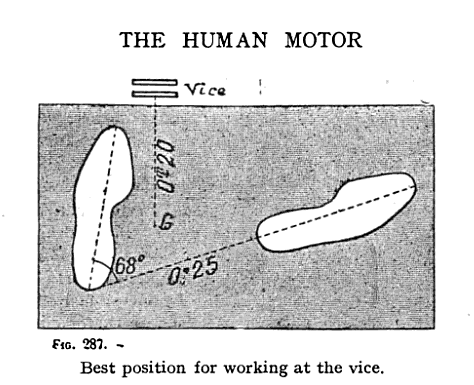 Burroughs adding machines were quite popular in the early twentieth century, and the company was founded by beat writer William S. Burroughs’s grandfather. Any guesses what is this device was for?